Fluorescent T-5 high-output lights are great for marijuana seedlings and young clones. In our previous article on indoor marijuana grow lights, we focused on the most popular type: high intensity discharge (HID). There are three other types worth using, and today’s article focuses on two of them. The first type we’re discussing is T-5 high-output fluorescent. Growers who have tiny grow spaces or are unable to process grow op heat sometimes use fluorescent lighting for their entire crop cycle. It can work well enough to give you small buds from small plants, such as autoflowering cannabis, or clone gardens that are forced into flowering just after clones are rooted. However, fluorescent just aren’t powerful enough to give you big yields from full-size marijuana plants. Where fluorescent grow lights are ideal is for seedlings, clones, and mother plants. In fact, if you place seedlings and very young clones under HID grow lights or professional LED lights, the youngsters are likely to be harmed. The most effective T-5 grow light is the Hortilux PowerVeg. Read here for more information on the Hortilux PowerVeg. It can be used solo for young clones and for seedlings, and then as auxiliary lighting as your plants get bigger. I suggest getting T-5 fixtures that hold 4-8 four-foot bulbs. Fluorescent lights don’t generate much heat, they’re energy efficient, and they’re good for clones and seedlings. The other type of lights we’re discussing today are LED grow lights. 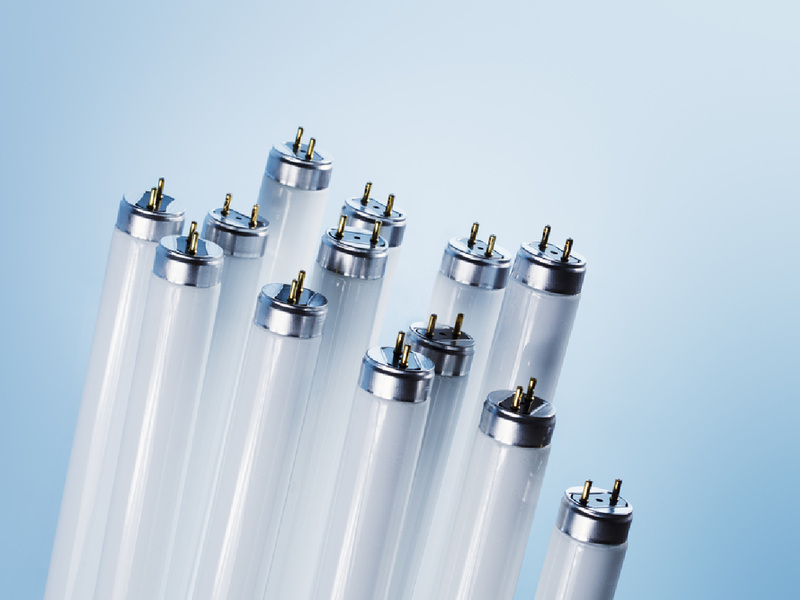 For many years, people paid $1000 or more for LEDs and found that the units weren’t good. 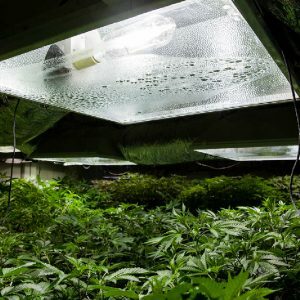 Most LED brands were poorly-made, warranties sucked, manufacturers went out of business, lights didn’t deliver adequate spectrum or intensity, especially for bloom phase. The BigBudsMag.com team tried all the lights in the marketplace and we were disgusted with the poor quality and results, until we discovered LED grow lights made by Lush Lighting. Read here for more information on Lush LED grow lights. 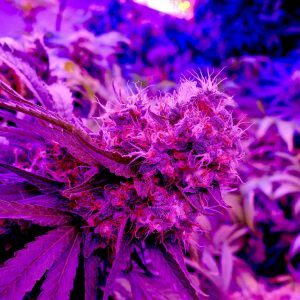 Lush LED grow lights generate about 75% of the intensity of HID lights but they far exceed most HID when it comes to photosynthetically active radiation (PAR) that drives plant metabolism and bud production. They generate about 35% less heat than HID lights. 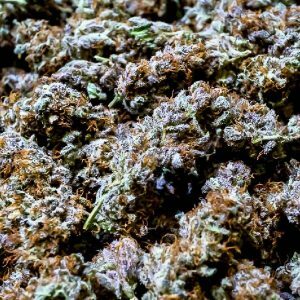 They have enhanced ultraviolet and far infrared wavelengths that increase production of THC and other cannabinoids and terpenoids. They can be used start to finish and are best for plants no more than five feet tall. They increase resin percentages, growth rate, yield, taste, and smell. Lush LED grow lights are easier and safer than HID grow lights, and they’re an all-inclusive unit with no need for external ballast and hood. Some growers use HID as their main light and T-5 or LED as finisher lights to augment HID high pressure sodium in bloom. Quality LED grow lights cost at least $1200, but they last way longer and are far more reliable and energy efficient than HID grow lights, so they pay for themselves. In our next article in this series on how to grow pot, we’ll talk about the latest buzz in grow lights for marijuana: ceramic metal halide.